This remarkable collection of eight essays offers a rare perspective on the issue of cross-cultural communication. 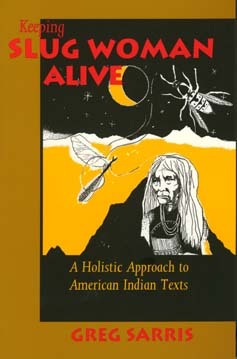 Greg Sarris is concerned with American Indian texts, both oral and written, as well as with other American Indian cultural phenomena such as basketry and religion. His essays cover a range of topics that include orality, art, literary criticism, and pedagogy, and demonstrate that people can see more than just "what things seem to be." Throughout, he asks: How can we read across cultures so as to encourage communication rather than to close it down? Sarris maintains that cultural practices can be understood only in their living, changing contexts. Central to his approach is an understanding of storytelling, a practice that embodies all the indeterminateness, structural looseness, multivalence, and richness of culture itself. He describes encounters between his Indian aunts and Euro-American students and the challenge of reading in a reservation classroom; he brings the reports of earlier ethnographers out of museums into the light of contemporary literary and anthropological theory. Sarris's perspective is exceptional: son of a Coast Miwok/Pomo father and a Jewish mother, he was raised by Mabel McKay—a renowned Cache Creek Pomo basketweaver and medicine woman—and by others, Indian and non-Indian, in Santa Rosa, California. Educated at Stanford, he is now a university professor and recently became Chairman of the Federated Coast Miwok tribe. His own story is woven into these essays and provides valuable insights for anyone interested in cross-cultural communication, including educators, theorists of language and culture, and general readers. Greg Sarris is Assistant Professor of English at the University of California, Los Angeles. He is editor of Rattles and Clappers: An Anthology of California Indian Writing (1993) and author of a forthcoming collection of short stories, Grand Avenue.